Feeling in need of a lie-in after the last couple of days, I didn’t get up until 0700 today! Later we headed for Keyhaven near Lymington and walked along the coast path towards Pennington. 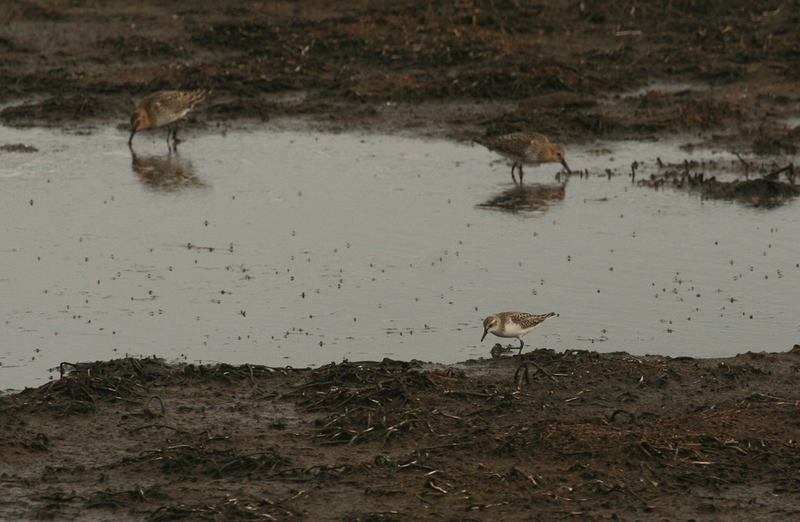 Our target was a Semi-palmated Sandpiper, just one of a remarkable number of American waders that have reached Britain after the remnants of Hurricane Irene passed to the north. Very hard to separate from the Old World Little Stint, only about 100 have ever been recorded in the UK (but that is far commoner than the Long-toed Stint that I failed to see last Thursday). 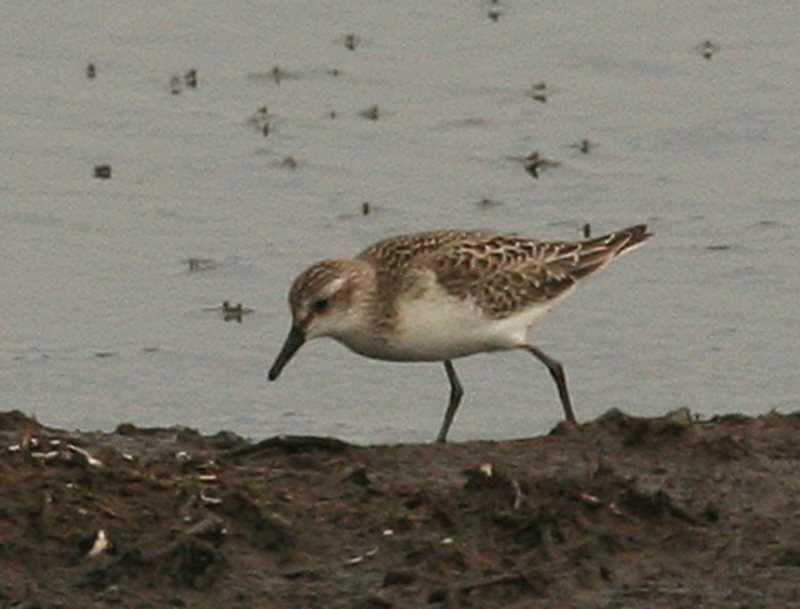 Juvenile Semi-palmated Sandpiper. Compared to a Little Stint it is greyer, lacks an obvious white V on the mantle, less streaking on the neck and has a straighter, shorter and more blob-tipped bill. The semi-palmated toes are almost impossible to see! Some of our friends from the Nexus organisation were doing a walk in the area and having lunch at the White Horse in Milford-on-Sea. We had time to join them for lunch if not for the walk. Later we returned to the Keyhaven area where two juvenile Sabine’s Gulls (presumably the same individuals that were at Avon Beach) were feeding distantly on a ploughed field. 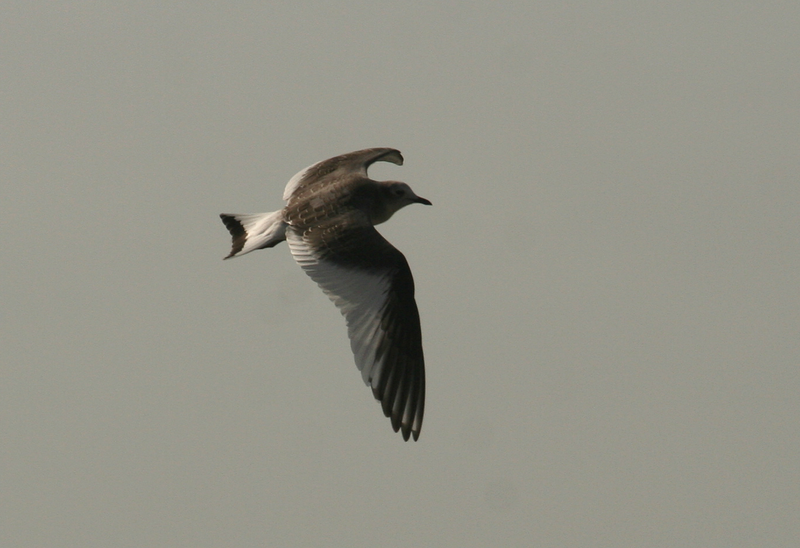 Were the juvenile Sabine's the same birds that I photographed off Avon Beach on 13th September?